Doctor Who Costume Guide: New/updated 10th Doctor brown suit tutorial added! 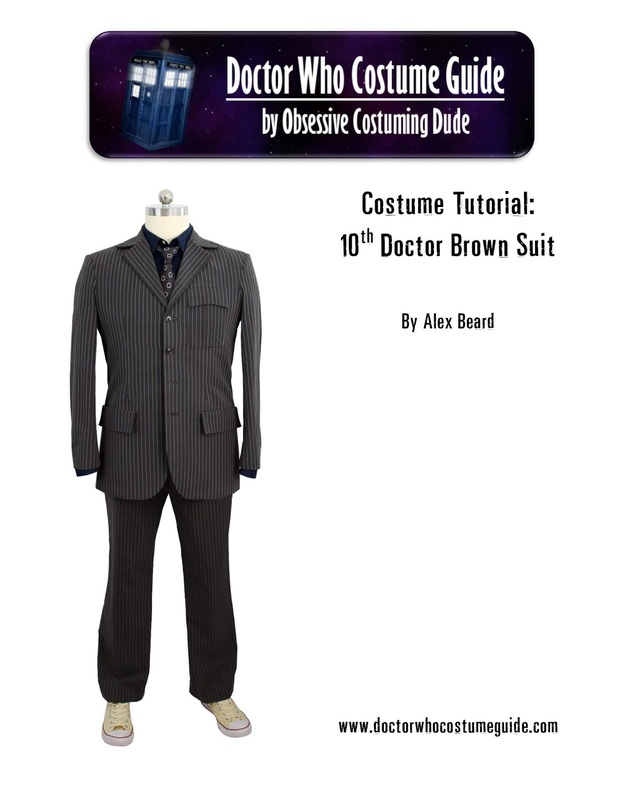 New/updated 10th Doctor brown suit tutorial added! My new 10th Doctor brown suit tutorial is now available for free online viewing here on the blog! Like the sewing pattern itself, this tutorial has been so heavily “updated” that it’s basically brand new, and FAR superior to the previous versions! Not only is the content itself significantly improved (I’ve learned a LOT more about “proper” sewing and tailoring since I wrote the original tutorial years ago), but I’ve also replaced ALL the tutorial photos with better ones, too! My new blue suit tutorial and free downloadable PDFs are coming soon. Subscribe to my “Costume Guide” e-mail newsletter (upper right corner) for updates!